We've got neons, pastels, prints, and more! When it comes to bathroom tiles, white is almost an automatic choice for a lot of homeowners—after all, it is an old-time classic that is sure to keep your personal space looking sparkling and serene. While that may be true, milky tints can grow plain and boring. 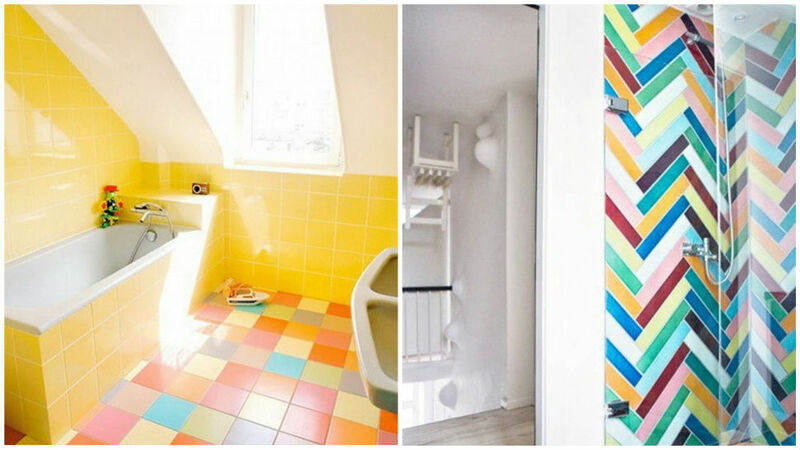 Have you every considered going for a happy-hued bath through colorful tiles? If you're looking for inspiration or a way to boost your mood, these spaces can help—even if you're not planning to remodel anytime soon.